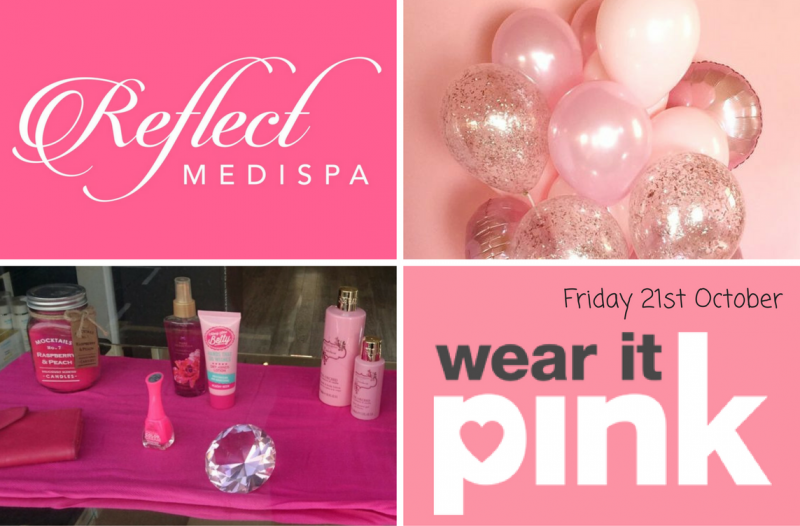 We are hosting a ‘Wear It Pink’ event on Friday 21st October! Every year, Wear It Pink raises around £2 million during Breast Cancer Awareness Month for the Uk’s largest breast cancer charity! This year we are running a series of fun events throughout the day in aid of the amazing charity. Book in for a 10 minute complimentary reflexology treatment or a 15 minute back, neck and shoulder massage with our incredible holistic therapist, Dalvinder. Alongside this, we are running a raffle with exciting prizes to be won, including a £100 Reflect gift voucher. Or simply enjoy a refreshing glass of prosecco when you come in for your treatment. All we ask of you is to kindly make a donation of your choice, the money raised helps fund world-class breast cancer researchers across the UK & Ireland. Together, they’re working to discover how to prevent breast cancer, how to detect it earlier and how to treat it effectively at every stage so we can stop the disease taking lives.